If you were injured at a Fort Lauderdale hotel, then you need to speak with a Fort Lauderdale hotel accident lawyer to make sure that your rights are protected. You can call the Fort Lauderdale personal injury lawyers at the Wolfson Law Firm in Fort Lauderdale at (855) 982-2067 and get the answers that you need right now. 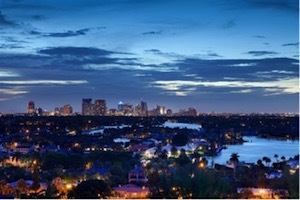 Hotels in Fort Lauderdale and all throughout South Florida are in business to make money. Resorts and hotels do not give money away to anyone claiming an injury. At best, they will make sure you prove that the Fort Lauderdale hotel or resort is at fault; that the negligence of the hotel caused your injuries and damages; and that they only pay a reasonable amount of damages. At worst these hotels will follow the same playbook of most insurance companies – deny, delay and don’t pay. At the Wolfson Law Firm, our Fort Lauderdale hotel accident lawyers have helped personal injury victims since 1963. We understand what it is like to be on vacation and enjoying yourself only to have it interrupted with a serious injury from an accident caused by the negligence of a hotel, resort or guest. Over these many years our Fort Lauderdale personal injury attorneys have investigated and litigated a wide variety of hotel accidents and injuries. Our Fort Lauderdale hotel injury attorneys are available to help you and your loved ones right now. Tourism in Fort Lauderdale is big business. Broward County and individual cities depends heavily on the money brought into the communities by tourism. While the approaches to encouraging tourists and vacationing families to spend time and money in Broward County has changed over the years, the pursuit of tourism money has been constant. In Fort Lauderdale, Spring Break was the focus of tourism efforts from the 1950s through the 1980s. However, the city and County realized that there was more money to be made by rebranding Fort Lauderdale and Broward County into an upscale and family destination. Today, tourism efforts are focused on higher income tourists and upper income families. Very little attention is paid to Spring Break tourists and at best, Spring Breakers are tolerated so long as the brand is not tarnished. Unfortunately, people get hurt in Fort Lauderdale hotels. The types of injuries are wide ranging in severity. Our Fort Lauderdale hotel accident lawyers have seen the types of injuries that occur in hotel accidents in Fort Lauderdale. Our personal injury lawyers in Fort Lauderdale have also investigated the many causes of hotel injuries over the years. Fort Lauderdale hotel parking lot accidents involving cars, taxis, shuttles, and or limousines. Assaults by guests, employees and or criminals at Fort Lauderdale hotels resulting in serious injury or death. The Fort Lauderdale hotel and resort accident lawyers at the Wolfson Law Firm handle all personal injury cases on a contingency fee basis. What this means is that you will never owe any attorney fees unless we make a recovery for you. Our personal injury law firm employs all the latest technology, including Skype and facetime, which enables us to provide consistent communication and prompt responses to all of your questions. Our managing trial attorney, Jonah Wolfson, is a bilingual Fort Lauderdale personal injury lawyer. The personal injury legal team at the Wolfson Law Firm is also bilingual and they’re ready to help you. Just call us at (855) 982-2067 for your free consultation. You can also make an appointment to see us at our Fort Lauderdale office located at 101 NE 3d Avenue #1500, Fort Lauderdale, FL 33301. Don’t be a silent victim if you were hurt in a Fort Lauderdale hotel accident. Stand up for yourself, get the justice that you deserve and call us today. Our Fort Lauderdale accident lawyers serve the local residents and tourists who visit the hotels, motels and resorts of Fort Lauderdale including Hollywood, Weston, Plantation, Miami, Hialeah, Boca Raton, West Palm Beach, Miami Beach, New York, California, England, Canada, South America and Asia.